Dragon Crossing Sign "Here there be Dragons" is animal crossing signs outdoor function and indoor fun decor at Animal World®. Made of durable lightweight aluminum, this Dragon Crossing Sign measures 12" diamond square, has a hole for hanging is perfect for dragon lover spirit and is packaged in clear plastic. 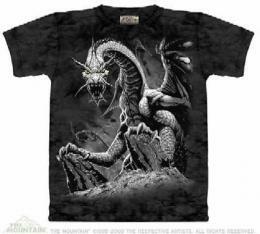 Shop our Dragon Gift Store at Animal World® for all our dragon lover gift ideas.